A shock wave shot across the country when it was revealed that earlier this year Special Counsel Robert Mueller fired Hillary Clinton email investigation Peter Strzok after Mueller learned that Strzok had exchanged anti-Trump texts with a colleague. This bombshell revelation is more evidence, as demonstrated in the below articles, that Mueller and his entire team are anti-Trump and the bogus Russian-collusion investigation should be shut down. Two senior Justice Department officials have confirmed to Fox News that the department's Office of Inspector General is reviewing the role played in the Hillary Clinton email investigation by Peter Strzok, a former deputy director for counterintelligence at the FBI who was removed from the staff of Special Counsel Robert S. Mueller III earlier this year, after Mueller learned that Strzok had exchanged anti-Trump texts with a colleague. A source close to the matter said the OIG probe, which will examine Strzok's roles in a number of other politically sensitive cases, should be completed by "very early next year." The task will be exceedingly complex, given Strzok's consequential portfolio. He participated in the FBI's fateful interview with Hillary Clinton on July 2, 2016 – just days before then-FBI Director James Comey announced he was declining to recommend prosecution of Mrs. Clinton in connection with her use, as secretary of state, of a private email server. The "dossier" was a compendium of salacious and largely unverified allegations about then-candidate Trump and others around him that was compiled by the opposition research firm Fusion GPS. The firm's bank records, obtained by House investigators, revealed that the project was funded by the Clinton campaign and the Democratic National Committee. House Intelligence Committee Chairman Devin Nunes, R-Calif., has sought documents and witnesses from the Department of Justice and FBI to determine what role, if any, the dossier played in the move to place a Trump campaign associate under foreign surveillance. In early October, Nunes personally asked Deputy Attorney General Rod Rosenstein – who has overseen the Trump-Russia probe since the recusal of Attorney General Jeff Sessions – to make Strzok available to the committee for questioning, sources said. When a month had elapsed, House investigators – having issued three subpoenas for various witnesses and documents – formally recommended to Nunes that DOJ and FBI be held in contempt of Congress. Nunes continued pressing DOJ, including a conversation with Rosenstein as recently as last Wednesday. That turned out to be 12 days after DOJ and FBI had made Strzok available to the Senate Intelligence Committee, which is conducting its own parallel investigation into the allegations of collusion between the Trump campaign and the Kremlin. Responding to the revelations about Strzok’s texts on Saturday, Nunes said he has now directed his staff to draft contempt-of-Congress citations against Rosenstein and the new FBI director, Christopher Wray. Unless DOJ and FBI comply with all of his outstanding requests for documents and witnesses by the close of business on Monday, Nunes said, he would seek a resolution on the contempt citations before year’s end. “We now know why Strzok was dismissed, why the FBI and DOJ refused to provide us this explanation, and at least one reason why they previously refused to make [FBI] Deputy Director [Andrew] McCabe available to the Committee for an interview,” Nunes said in a statement. The Justice Department maintained that the decision to clear Strzok for House interrogation had occurred a few hours prior to the appearance of the Times and Post stories. In addition, Rosenstein is set to testify before the House Judiciary Committee on Dec. 13. The Justice Department maintains that it has been very responsive to the House intel panel's demands, including private briefings for panel staff by senior DOJ and FBI personnel and the production of several hundred pages of classified materials available in a secure reading room at DOJ headquarters on Oct. 31. Sources said Speaker Ryan has worked quietly behind the scenes to try to resolve the clash over dossier-related evidence and witnesses between the House intel panel on the one hand and DOJ and FBI on the other. In October, however, the speaker took the unusual step of saying publicly that the two agencies were "stonewalling" Congress. All parties agree that some records being sought by the Nunes team belong to categories of documents that have historically never been shared with the committees that conduct oversight of the intelligence community. Justice Department officials noted that Nunes did not appear for a document-review session that his committee’s ranking Democrat, U.S. Rep. Adam Schiff, D-Calif., attended, and once rejected a briefing by an FBI official if the panel’s Democratic members were permitted to attend. Sources close to the various investigations agreed the discovery of Strzok’s texts raised important questions about his work on the Clinton email case, the Trump-Russia probe, and the dossier matter. “That’s why the IG is looking into all of those things,” a Justice Department official told Fox News on Saturday. Carr declined to comment on the extent to which Mueller has examined the dossier and its relationship, if any, to the counterintelligence investigation that Strzok launched during the height of the campaign season. James Rosen joined FOX News Channel (FNC) in 1999 and is the network’s chief Washington correspondent. We all lose from Weissmann’s involvement. First, the truth plays no role in Weissmann’s quest. Second, respect for the rule of law, simple decency and following the facts do not appear in Weissmann’s playbook. Third, and most important, all Americans lose whenever our judicial system becomes a weapon to reward political friends and punish political foes. Sidney Powell was a federal prosecutor in three districts under nine U.S. attorneys from both political parties, then in private practice for more than 20 years. She is a past president of the Bar Association of the Fifth Federal Circuit and of the American Academy of Appellate Lawyers. A veteran of 500 federal appeals, she published "Licensed to Lie: Exposing Corruption in the Department of Justice." There is no shortage of examples to fuel the president's case. U.S. Deputy Solicitor General Michael Dreeben departs the U.S. Justice Department in traditional morning coat on his way to argue his one-hundredth case before the U.S. Supreme Court in Washington, U.S. April 27, 2016. Dreeben is an appellate attorney on detail from the Office of the Solicitor General. Records show he has made no political donations. Dreeben has represented the federal government in a range of cases -- including on the police use of GPS tracking to monitor potential suspects, and whether former Republican Virginia Gov. Bob McDonnell crossed the line in performing favors for a wealthy supporter who provided gifts to McDonnell and his wife. A former US Justice Department official has become the latest lawyer to join special counsel Robert Mueller's team investigating Russia's interference in the 2016 presidential election, a spokesman for the team confirmed. Legal experts not involved in the case said his appointment suggested the Russia probe would continue for months or possibly years. Most recently a white-collar criminal defence lawyer with New York law firm Davis Polk & Wardwell, Mr Andres, 50, served at the Justice Department from 2010 to 2012. He was deputy assistant attorney general in the criminal division, where he oversaw the fraud unit and managed the program that targeted illegal foreign bribery. Mr Mueller, who was appointed special counsel in May, is looking into possible collusion between the Trump campaign and Russia during the election, among other matters. Congressional committees are also investigating the matter. That Mr Mueller continues to expand his team means the probe is not going to end anytime soon, said Robert Ray, who succeeded Kenneth Starr as independent counsel for the Whitewater investigation during the Clinton administration. The special counsel last month asked the White House to preserve all of its communications about a June 2016 meeting that included the President's eldest son, Donald Trump Jr, his son-in-law and adviser Jared Kushner, and Russian lawyer Natalia Veselnitskaya. Russian officials have denied meddling in the US election, and Mr Trump denies any collusion by his campaign. Among the cases Mr Andres oversaw at the Justice Department was the prosecution of Texas financier Robert Allen Stanford, who was convicted in 2012 for operating an $8bn Ponzi scheme. Before that, Mr Andres was a federal prosecutor in Brooklyn for over a decade, eventually serving as chief of the criminal division in the US attorney's office there. He prosecuted several members of the Bonanno organised crime family, one of whom was accused of plotting to have Mr Andres killed. A graduate of Notre Dame and University of Chicago Law School, Mr Andres was a Peace Corps volunteer in Benin from 1989 to 1992. He is married to Ronnie Abrams, a US district judge in Manhattan nominated to the bench in 2011 by former President Barack Obama. Others on the special counsel team include Andrew Weissmann, chief of the Justice Department's fraud section; Andrew Goldstein, former head of the public corruption unit at the US Attorney's Office in Manhattan; and James Quarles, who was an assistant special prosecutor in the Watergate investigation that helped bring down President Richard Nixon. Russian Scandal: Special Counsel Robert Mueller has a tough job. After all, how can you prove allegations of collusion between the Trump campaign and Russian officials to influence our 2016 presidential election when, from all evidence after a year and a half of investigation, it didn't happen? Naming Mueller to head the investigation was a huge error. His investigation should be shut down and Mueller sent home. This week's stunning revelation that Hillary Clinton and the Democratic National Committee funded the fake Trump/Putin dossier, filled with outright lies, exaggerations and misleading information, is the final straw. For it shows that not only were Hillary Clinton, the DNC and her lawyer, Marc Elias, lying when they denied any involvement in the phony dossier, it showed that they — not Trump — were deeply, perhaps criminally, compromised by collusion with Russian officials. In Hillary's case, in 2009 she promised the Russians a "reset," and then over the next two years proceeded to help them build their own mini-Silicon Valley with U.S. funding and expertise, and approved the sale of Uranium One, a Canadian company that controls 20% of U.S.-based uranium supplies, to Russia's state-owned nuclear monopoly, Rosatom. If that isn't dizzying enough, then-Secretary of State Hillary Clinton, her husband former President Bill Clinton, and their Clinton Foundation charity took in millions of dollars from Russian entities and the grateful executives of Uranium One, who were taken over by the deep-pocketed Russians. It was a classic example of illegal pay-for-play, and yet neither President Obama's Justice Department nor his FBI found anything wrong with it. Fast forward to 2016, and Hillary and the DNC retained Fusion GPS to dig up dirt on Donald Trump. Fusion then hired former British spook Christopher Steele, a man who, as former head of the Moscow desk for Britain's MI6 intelligence agency, has deep espionage ties in Russia, to do "research" on Trump. What they got instead was innuendo, half-truths, distortions, exaggerations and just plain gossip — much of it from Russian "sources." And yet, this phantasmagorical bit of research became the basis for a full-blown investigation of the Trump campaign's supposed ties to Russian officials and their interference in the 2016 presidential election. With each new revelation in recent weeks, it has become ever clearer that the collusion that took place wasn't on the part of Trump, but Hillary Clinton and the Democrats, who have been playing a double-game with the Russians since at least Obama's first term. That's the real collusion here. Typical of how the progressive left works, they have accused their opponent of the very thing they are guilty of: colluding with a possible enemy. This is where Robert Mueller comes in. Mueller himself was head of the FBI from 2001 to 2013. But from 2009 to 2013, all sorts of alarms were going off over the apparent influence peddling by Hillary Clinton while serving as secretary of state. The Justice Department, headed by die-hard leftist lawyer and Obama loyalist Eric Holder, did nothing. Nor did Mueller. Fast forward to 2016. Mueller's successor at the FBI, James Comey, did do something: He paid Fusion GPS, which received funding from Russian sources, for its bogus "research" on Trump. That research also became the basis for the equally bogus investigation headed by Mueller. Yet, as we said earlier in the week, it's now clear that the real Russian collusion was among Hillary and Bill Clinton, their Clinton Foundation, the DNC, Democratic operatives and bagmen John and Tony Podesta, Fusion GPS and James Comey. Not Trump and his campaign confederates. When a legal mistake of this magnitude is made, it must be undone. That's just what Congress is doing right now. In recent days, both houses of Congress have unveiled investigations into the Uranium One deal and possible pay-for-play deals at Hillary Clinton's State Department and her family Clinton Foundation. Just Thursday, Sen. Chuck Grassley, the Iowa Republican, called for naming a special counsel for the Uranium One deal and the related financial shenanigans. He's on solid ground here: In a new Rasmussen poll, 51% of likely voters said they believe "it's likely that Bill and Hillary Clinton or their close political associates broke the law in their dealings with Russia." In the meantime, however, the purely political investigation of Trump led by Mueller since the start of this year has gone nowhere. It should be ended immediately, and not just because they've found nothing or that the original basis for the investigation has been tainted by being funded by the Democrats, FBI and Russians. We have nothing personal against Mueller, who led the FBI's shift toward counterterrorism in the immediate years after 9/11. 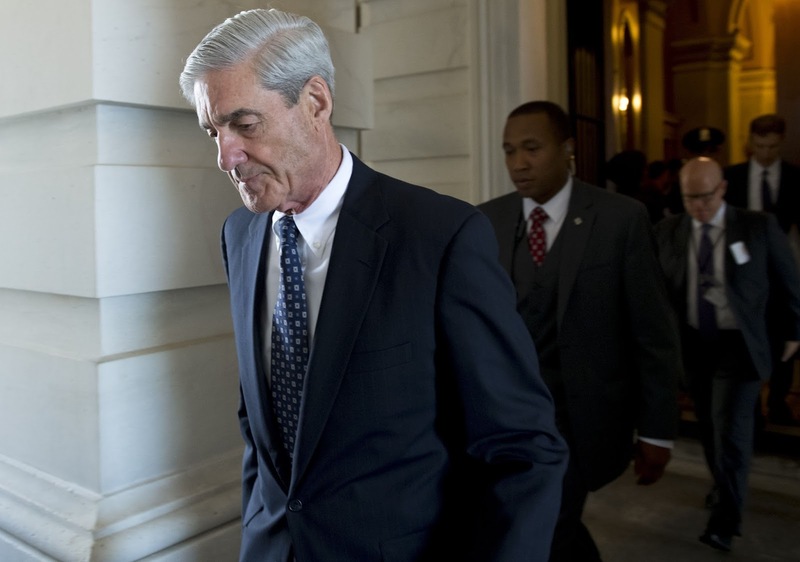 But as special counsel, Mueller has conflicts all over the place, including his personal ties to Comey (who was Mueller's favorite to succeed him at the FBI in 2013) and by the fact that he headed the FBI during the time that Hillary was engaged in soliciting donations, selling access to the office of the secretary of state, and officially approving the highly questionable Uranium One deal. In addition, the very premise of the Russian investigation has been proven faulty, based almost entirely (at least initially) on a politically motivated opposition-research operation run by the Democrats against Trump, and later picked up by the FBI's Comey. Based on this, it's time to let special counsel Robert Mueller go, and dismantle the Russian investigation he leads. Robert Mueller, the Swamp, and the lawyers tasked to run a Silent Coup. Yes, it’s a witch hunt. With the witch hunters having not just obvious but massive conflicts of interest. The Wall Street Journal is concerned. And correctly so. The special counsel needs to rise above his Comey loyalties. That didn’t take long. Barely a week after James Comey admitted leaking a memo to tee up a special counsel against Donald Trump, multiple news reports based on leaks confirm that special counsel Robert Mueller is investigating the President for obstruction of justice. You don’t have to be a Trump partisan to have concerns about where all of this headed. … There are nonetheless good reasons to raise questions about Mr. Mueller’s investigation, and those concerns are growing as we learn more about his close ties to Mr. Comey, some of his previous behavior, and the people he has hired for his special counsel staff. The country needs a fair investigation of the facts, not a vendetta to take down Mr. Trump or vindicate the tribe of career prosecutors and FBI agents to which Messrs. Mueller and Comey belong. Start with the fact that Mr. Comey told the Senate last week that he asked a buddy to leak his memo about Mr. Trump specifically ‘because I thought that might prompt the appointment of a special counsel.’ Did Mr. Comey then suggest Mr. Mueller’s name to Mr. Rosenstein? He certainly praised Mr. Mueller to the skies at his Senate hearing. The two former FBI directors are long-time friends who share a similar personal righteousness. Mr. Mueller, then running the FBI, joined Mr. Comey, then Deputy Attorney General, in threatening to resign in 2004 over George W. Bush’s antiterror wiretaps. The Mueller operation already needs a special counsel of its very own. Quis custodiet ipsos custodes? Who is to guard the guardians themselves? … On Wednesday the Washington Post reported that five unnamed officials had said that the President is now under investigation for obstruction of justice for his firing of FBI Director James Comey. A day later, similarly unnamed sources said that the President’s adviser and son-in-law Jared Kushner is also under investigation. Let’s be clear: These leaks are immoral and probably illegal. They are serious violations of professional codes of ethics. They seem to have no purpose other than inflicting political damage on the administration. And they are coming from multiple sources connected to the Special Counsel’s investigation. Professor Bonevac has it exactly right. There is a reason the one-time Independent Counsel law, once so popular in Washington, was eventually done in. By the time Nixon resigned on August 9, 1974, Archibald Cox and his successor Leon Jaworski had carved out a new space in the public mind for the special prosecutor’s role in reining in official corruption. More specifically, Scalia contested the majority’s conclusion that independent counsels were “inferior officers” who remained under the executive’s ultimate control. An independent counsel, he suggested, actually possessed some powers and advantages that even the Attorney General did not. Scalia worried that an overzealous, unaccountable independent counsel could pick his or her targets, and then prosecute them for even the most minor or technical offenses. Moreover, Scalia wrote, a partisan Special Division might appoint a committed foe of the administration or the individual under investigation. “Nothing is so politically effective,” he wrote, “as the ability to charge that one’s opponent and his associates are not merely wrongheaded, naive, ineffective, but, in all probability, ‘crooks.’” Scalia prophesied that the majority’s decision would weaken the Presidency, and expose the head of the executive branch to “debilitating criminal investigations” — an opinion that has earned Justice Scalia new and unexpected admirers in recent days. Exactly. So the law, after burning the Clinton administration badly, was given the axe in 1999. What we now see is a “special prosecutor” who is appointed under the authority of the Attorney General — or in this current case since Attorney General Jeff Sessions has recused himself, by Deputy Attorney General Rod Rosenstein. Yet even with that change, what do we see? And thus the birth of a storyline for Hillary allies. Never mind that the candidate didn’t go to Wisconsin because she thought she had it in the bag. Never mind that she had campaigned in the coal states of Pennsylvania and Ohio on a platform of getting rid of coal — and hence coal jobs. No, the real reason Hillary lost was that the Russians colluded with Trump and the election was stolen. It’s one thing to build political myths to soothe a losing candidate and her supporters. It’s quite another to successfully get a “special prosecutor” to investigate a crime that never happened — and stock the prosecutors staff with partisan lawyers who contributed to her campaigns or even, in one case, actually worked for the Clinton Foundation. And then start looking for all kinds of “crimes” that were never in evidence when charged with investigating a crime that turns out not to be. This is the classic of how the Whitewater investigation of Bill Clinton became the Monica scandal. Now we are apparently moving from the phony Russian-Trump collusion charge to “obstruction of justice” and Jared Kushner’s finances. Neither of which are tied to the collusion story. Meanwhile, Mr. Mueller’s staff appointments suggest that he is preparing for a long prosecutorial campaign. One unusual choice is Michael Dreeben, a highly regarded Deputy Solicitor General whose expertise is criminal law and the Constitution. He is not a prosecutor or counter-intelligence expert. Is Mr. Dreeben on hand to make a legal case for impeachment? The special counsel has also recruited Andrew Weissmann, who oversaw the Enron Task Force and led the prosecution of the Arthur Andersen accounting firm. The Supreme Court unanimously overturned Andersen’s conviction, though too late for Andersen’s 28,000 U.S. employees. Mr. Weissmann has donated to Hillary Clinton’s political campaign, but more relevant for this case he was highly criticized for his legal conduct over the years by the New York Observer newspaper. “In Andrew Weissmann, The DOJ Makes a Stunningly Bad Choice for Crucial Role,” said one headline in January 2015. The owner of the Observer at the time? Jared Kushner, President Trump’s son in law and now a White House aide. With that history, can Mr. Weissmann fairly judge the actions of the Trump family and campaign? And knowing that history, why would Mr. Mueller choose Mr. Weissmann for his prosecutorial team when the appearance of fairness is crucial to public acceptance of the result? In a filing last month, Clinton Foundation attorneys Jamie Gorelick and Jeannie Rhee called Klayman’s allegations “fatuous” and legally defective. A more controversial pick of Mueller’s was former prosecutor and WilmerHale partner Jeannie Rhee. Yes, you read that right. A lawyer who worked for the Clinton Foundation is now on the Mueller team. In attorneys Weissmann and Rhee alone — Weissman who was a target for intense criticism by Jared Kushner’s then-newspaper and Rhee a lawyer for the Clinton Foundation — their involvement in investigating both Kushner and the President who defeated Hillary Clinton is a massive conflict of interest. Justice Scalia had it right. This investigation isn’t an investigation. The President is right: It’s a witch hunt.